It was the spring of 1980 and one of our final kindergarten projects involved watching a pair of caterpillars transform into monarch butterflies. For weeks, we watched them feed on milkweed leaves and then disappear into their chrysalises. When they finally emerged as butterflies, we took them outside to the playground and set them free. That experience in the classroom near Seattle, Washington, was one of my favorites in school and helped give me an even greater appreciation for nature. It took nearly 25 years, but I finally got a chance to photograph monarchs in their wintering grounds in Pacific Grove, California — butterflies that were perhaps 100 generations removed from the ones we helped raise. 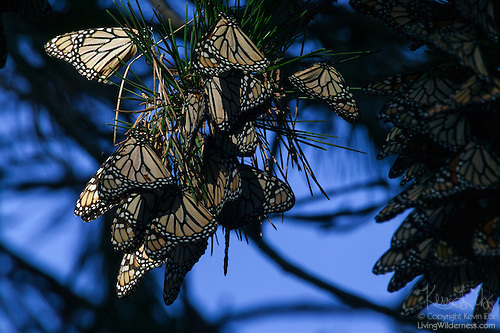 That winter in California, I found clusters of monarchs so dense they somewhat resembled leaves. Since then, the numbers of butterflies have plummeted, each year reaching a new record low.